Hi, I'm Chantal! I love nature, art, music, great food and authentic people. My job is fantastic: for many years I have been working to make your stay a fantastic experience. I love and I know well Venice, San Daniele del Friuli, and Portofino, which are the places of my childhood, as well as among the most fascinating destinations in Italy and the world. Nowadays, I intend to guide my guests in a multisensory experience, to discover the beauties and riches of places dear to me, that I have decided to share with you. Venice is a city of extraordinary art, where you can experience a different lifestyle: here, in addition to the architectural beauties, a world without cars awaits you, where you can go walking or browsing, where people still look in the eyes, where everyone goes down into the street to meet. It is no coincidence that it is called "La Serenissima"! San Daniele del Friuli, the "City of Prosciutto", one hour from Venice, stands on a hill in the heart of Friuli Venezia Giulia, a region of extraordinary beauty and variety of landscapes, and boasts a consolidated tradition of food and wine. To be discovered, its surroundings make the eyes of those who explore them fall in love, and even the taste buds will be satisfied! Casa Zina is a beautiful apartment on 3 levels with views of Calata Marconi, set in the most photographed panoramas in Portofino: those made of houses overlooking the port, from which you can see everything, but from where nobody can see you. Those who love Portofino recognize and respect its origins: an ancient fishing village and ardent explorers, it is known as the pearl of the Tigullio Gulf, immersed in a Natural Park to be discovered: by sea or by mountains, the choice is yours! Cà 5393 are 4 apartments belonging to my family, all located in the same building in Campiello Widmann 5393, in the heart of Venice. I passionately took care of the renovation and the equipment, dedicating my efforts to create different and original houses, in a timeless city, where it is still possible to experiment new forms of beauty. Each unit is decorated with a unique style and designed to guarantee maximum comfort and safety. I gave birth to a small world from my roots, a world that I love, that grows from your experiences. A world that I want to share with you. Chromotherapy is located on the 2nd floor, and its 80sqm are divided rationally into 2 comfortable bedrooms, bathroom with shower, living room with exposed beams and a spacious kitchen area. All dedicated to colors and, as usual in Cà 5393, equipped to ensure maximum comfort! At Cà 5393, you can rent several apartments in the same building for large groups, and extended stays are available, and always have discounts. To discover the surroundings: extend your permanence staying at Palazzo Masetti in Concina, a historic apartment in San Daniele del Friuli, the homeland of ham, an hour from Venice, where the culinary tradition and the astonishing beauty of its landscapes are a trade mark of this region .The excellent quality of the food products of Friuli Venezia Giulia is a real driving force for tourism, gastronomy and oenology. ...it's a pleasure for me to recommend something special, including excellent restaurants, bars, tourist attractions, excursions: you are welcome! The bathroom is fully equipped with hairdryier, towels, towel warmer, hopper window, and its walls are all hand painted in optical style. Each room has a thermostat for choosing the temperature you prefer whether in winter or summer. a set of bed sheets is included per week. you will find ready beds ready on check - in day. It works while someone is home: the smart card you use for enetering the apartment must be inside to let electricity in the apartment! Only the fridge will work while the smart card is out. you can hung your clothes out and inside. a set of a large shower towel and a smaller one is provided for each Guest. It is not allowed to take towels to the beach! free wifiEach room has a thermostat for choosing the temperature you prefer whether in winter or summer. microwave and electric in one. microwave oven, pots and pans, dishes...the kitchen is fully equipped! Dining corner in the living room, for7 people. Boat tours for discovering the hidden Venetian canals! Chromotherapy is now an energy-saving house: for those who love the environment and confort, just like me. Air conditioning is available with a modern installation that saves energy and grants the best confort: personalised climate control in every room, and new windows to grant insonorisation, temperature confort... and the sweetest dreams! Security System Door Lock with smart card available for your safe and to make your stay even easier. Cot, changing table, pots, plates, bowls. The appartment was very nice, good location away from the tourist crowd, Chantal was very friendly and helpful. Appartmento pulito, spazioso, adatto per famiglie ma anche gruppi di amici, situato in una zona tranquilla ma allo stesso tempo apochi minuti di cammino da piazza San marco. Appartement très agréable situé dans une partie de Venise loin de l'agitation touristique mais à 5mn à pied des vaporetto Fondamenta Nove, 10mn du Rialto et avec un Coop à 2mn pour faire ses courses. La climatisation silencieuse est un vrai plus lorsque vous séjournez à Venise en juillet ou en août et Chantal Fresco vous accueille avec le sourire et en parlant un francais à la perfection ! Bref, à conseiller sans retenue. Appartement très agréable, spacieux, calme et très bien situé à 10mn de la place Saint Marc et du Rialto. Des commerces à proximité, poissonnier et boulanger quasi au pied de l'immeuble. Fruits, légumes et supermarché à 5 mn. Très bon accueil de Chantal Fresco qui nous attendait devant l'immeuble. Chromotherapy is situated in the heart of the historical centre of Venice, between Rialto and Fondamente Nove and near to the most beautiful areas of the city: you can reach San Marco Square by walking through the picturesque 'calli' and bridges and maybe also taking some shots. We are close to Miracoli Church, SS. Giovanni and Paolo Church, San Canciano, Malibran Theater and so on. Fondamente Nove, at 5 min. from the house, is a 'station' where Vaporetti stop: this allows our Guests an easy access by boat to the city tour, to the Islands of Murano, Burano, Torcello and to the Lido, the elegant seaside of Venice, also popoluar for the international Film Festival. Beyond all tourist attractions, close to the flat You'll also find anything You need, such coffe bars, restaurants, bakeries, butcher's shops, fish-shops, supermarkets, chemist, perfumeries, florists, clothes shops, shoes shops, etc. *Direct payments: BALANCE CASH UPON CHECK - IN, or 15 days before check - in via bank transfer or PayPal; Le solde est reglé à l'entrée en liquides, ou 15 jours avant arrivée par virement bancaire ou PayPal. *FARES ARE IN EUROS /tarifs en euros,1 - 4 PEOPLE/personnes **EXTRA GUESTS / hotes extra: 10€/NIGHT/EACH. ***Ménage non inclus / cleaning fee not included: 60€. ****CAUTION /damage deposit: 200€ **********FARES INCLUDE / LES TARIFS COMPRENDENT: *LINEN, TOWELS, CHARGES, WIFI, A/C - Draps, linge de toilette, charges, climatisation et wifi; **PET FRIENDLY, YOUR FRIENDS DON'T PAY FOR THEIR STAY! Animaux acceptés, leur séjour est gratuit! ***FREE BABY - KIT/ baby kit gratuit: Lit - bébé, chaisehaute, draps, serviette, vaisselles incassables. ****************EXTRAS: *10€ supplément à partir du 5me hote (ENFANTS 0 - 5 GRATUIT). **MENAGE: 60€ ***Late CHECK - IN (after 8pm): after 8pm: 20€; after 10pm: 50€; from 11pm to midnight: 60€. 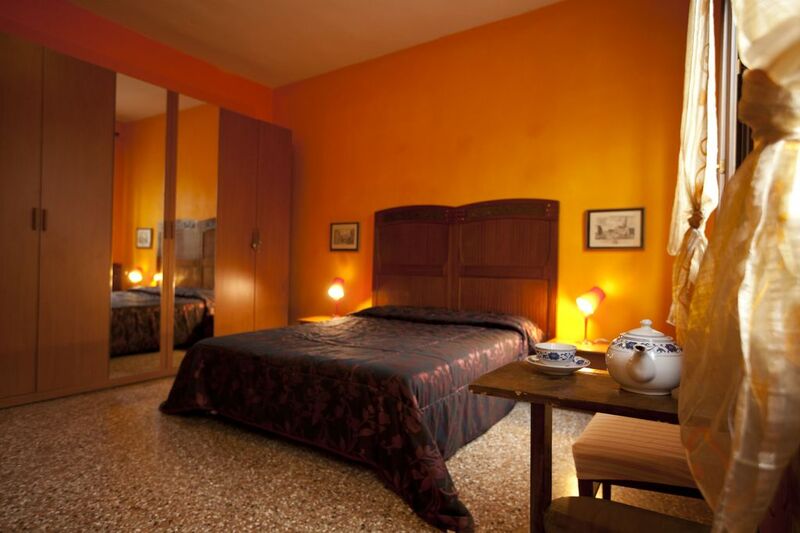 ****TOURIST TAX: FEBRUARY - DECEMBER: 3€ PER PERSON PER NIGHT UP TO 5 NIGHTS. KIDS 11-15: 1,50€/NIGHT/EACH JANUARY: 2,10€ PER PERSON/NIGHT UP TO 5 NIGHTS. KIDS 11-15: 1€/EACH.